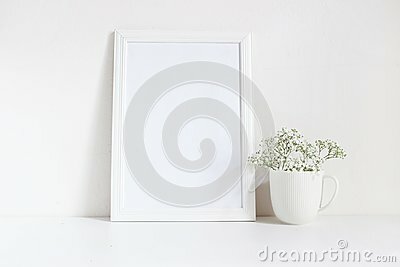 White blank wooden frame mockup with baby breath, Gypsophila flowers in porcelain mug on the table. Poster product design, styled stock feminine photography. Home decor.